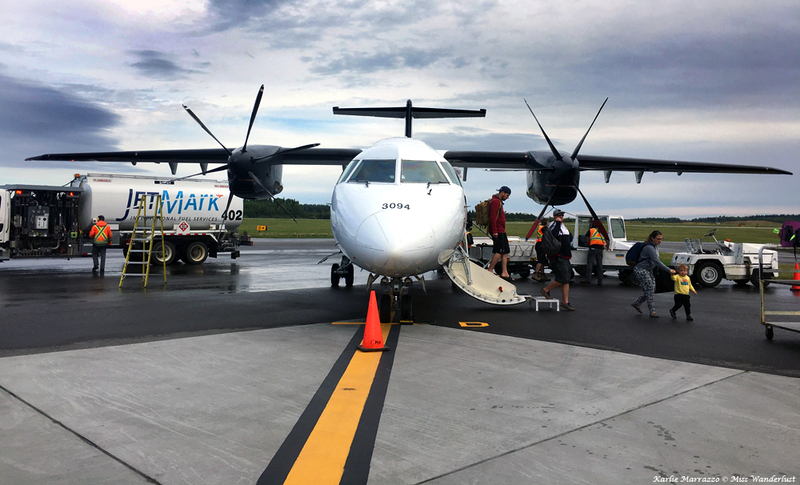 Our small group of travelers crossed the tarmac at Edmonton International Airport, snapping a ton of pictures of the Dornier 328 before climbing the steps to board the prop plane. The ground crew watched us with looks of amusement as we snapped away, to which all we could respond was “Bloggers!” I settled into my first row seat (yeah, baby) for the just-over-one-hour flight, gazing out the window at the always gorgeous Rocky Mountains and the lush B.C. forest spreading below. 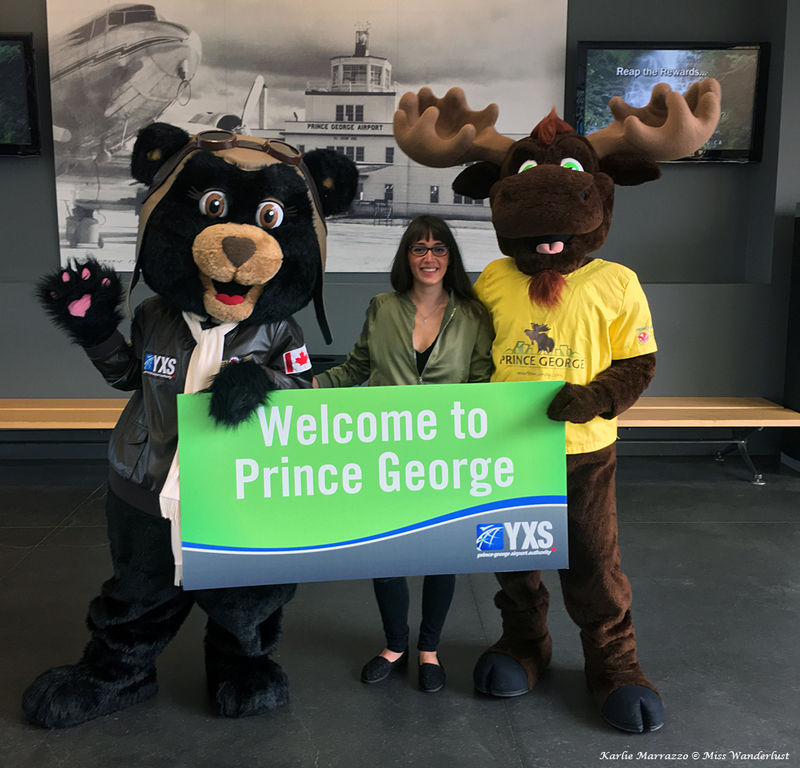 We were welcomed at the airport by the cutest mascots I ever have seen (and that’s saying a lot, because I freakin’ love mascots), Fraser the Moose and Amelia Bearheart, as well as our hosts from Tourism Prince George. 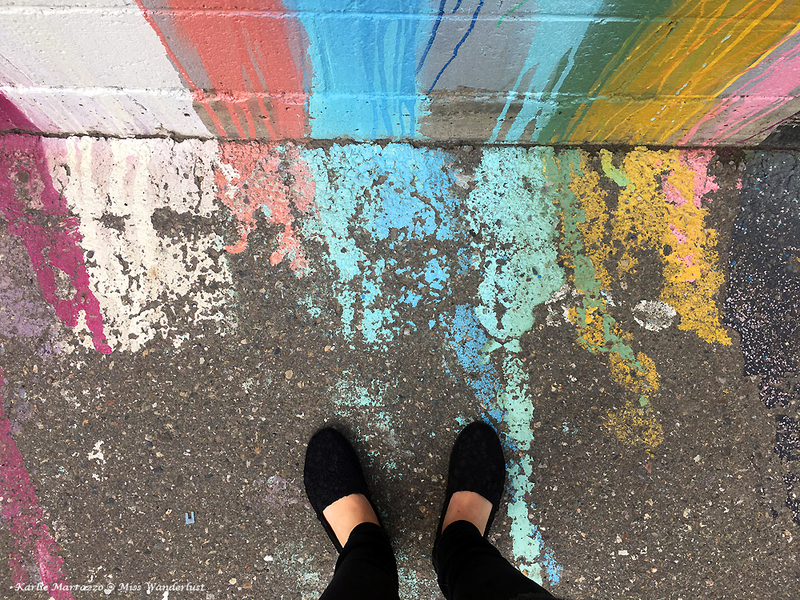 We were immediately whisked downtown to Ohh Chocolate Cafe, where we nourished ourselves with healthy breakfasts and out of this world Mayan hot chocolate. Seriously, I’ve never tasted anything like it. If you’re ever in PG, stop by for a mug. A short walk away is the Two Rivers Gallery, an impressive glass and wooden building fronted by rock gardens and a striking cast iron and bronze sculpture titled “Balance.” Sculpted by artist Peter von Tiesenhausen, it depicts the human form with a great tree branch protruding from its head and embodies the hope for a thriving ecosphere in balance, although I took away even more from reflecting on that word and the piece. Inside, we were treated to an exhibit called Reflections on Identity, and had many discussions over an exhibit by the artist Tammy Salzl. 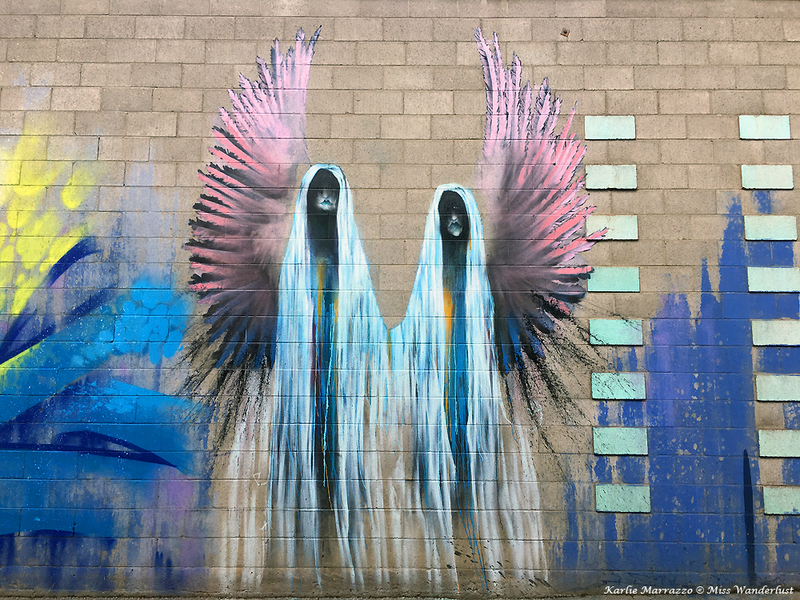 Her unusual style and subject matter gave us all something to think about. Passing through the second story, which was hosting a children’s art class, we stepped onto the roof to view the installation piece Standing Split: My place, out of my place by David Jacob Harder. 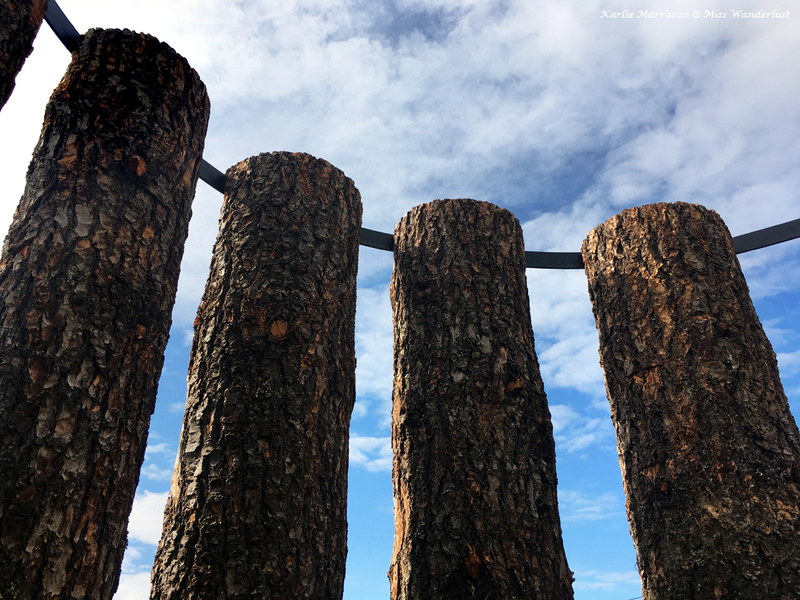 Created from a single log, with the inside facing out and the outside facing in, the piece represents the forests that surround the city of Prince George. Across the Canada Games Plaza from the gallery is the public library, where we joined a free walking tour of downtown. Our guide, passionate about the history of PG, regaled us with interesting stories of the city, like how the original City Hall was ever so briefly a brothel, along with tale after tale of beautiful early-to-mid-Century buildings burning down over and over, with the business owners always rallying to open up again. A few remaining Art Deco buildings and some beautiful murals were highlights of the tour. For lunch we refueled with an epic charcuterie board at Betulla Burning the likes of which I have never seen before and may never see again. Seriously, this thing took up almost the entire table, and was overflowing with in-house cured meats, pickled veggies, smoked olives and the most mouthwatering dessert calzone, stuffed with warm Nutella and berries. At Exploration Place, the local science museum, we first took a step back in time to enjoy a ride on the Little Prince, a fully functional steam engine with a true blue train conductor. 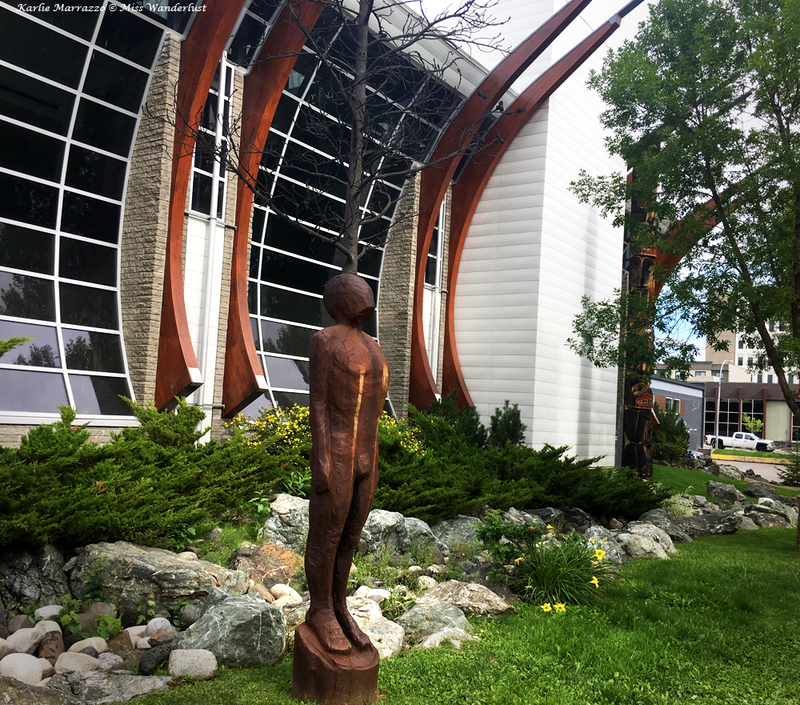 After a couple of passes around the pretty park and along the Fraser River, we entered the museum, where we learned about the history of the local First Nations people, the Dakelh. Dakelh means “people who travel the waters,” the two waterways surrounding the city being vital to the economy and society of the tribes. The Lheidli T’enneh First Nation originally settled Prince George centuries before it was incorporated in 1915 as a railway city. The museum also displays preserved local animals as well as replicas of dinosaur bones found in the area. After checking in to the Prestige Treasure Cove Hotel, we made our way to the highlight of any trip: the local winery. 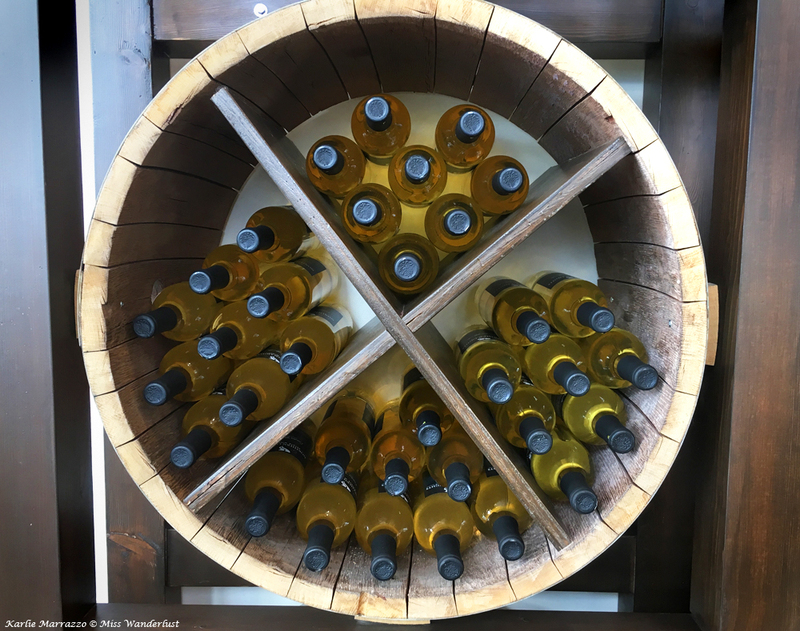 The Northern Lights Estate Vineyard, the northernmost winery in B.C., is a small family-run winery that specializes in fruit wines. 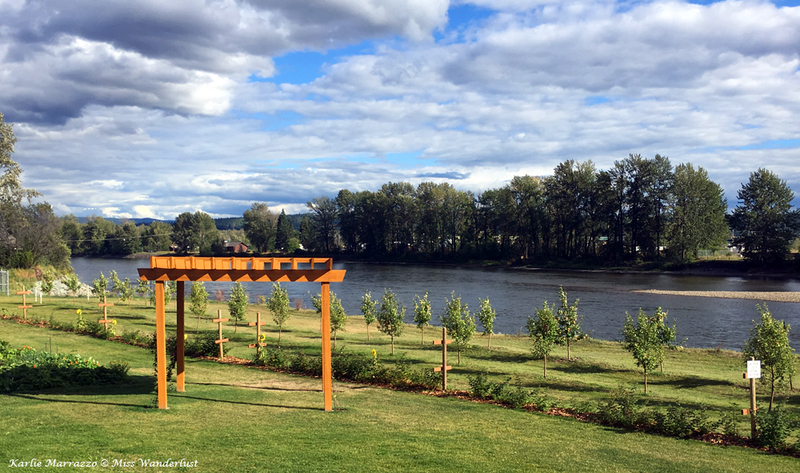 We toured the pretty grounds, which are snuggled up beside the Nechako River, followed with a private wine tasting paired with yet another charcuterie board. The standout wine for me was the Heritage Haskap, and intense, full red wine that is blended with blueberry. Pacific Western Brewery, home of Cariboo Brewing, is only 5 minutes away from the winery, and was the natural next stop after the winery. 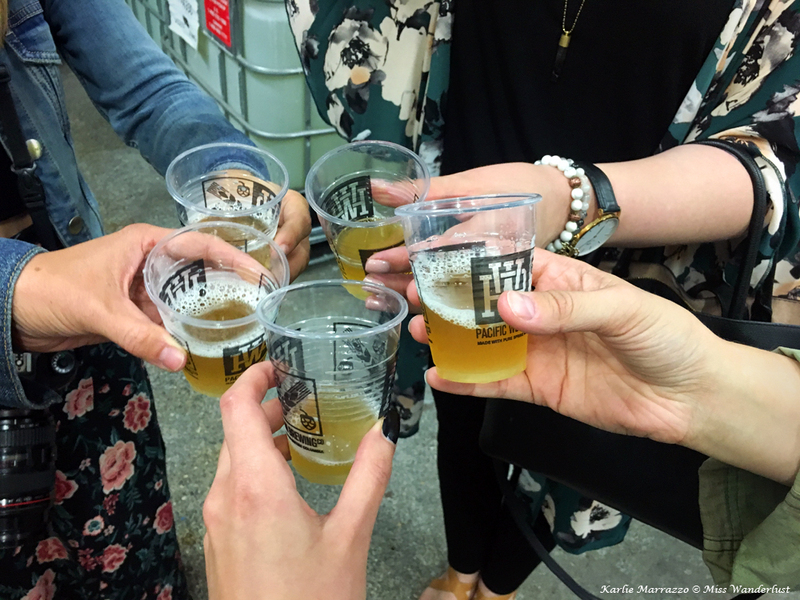 We took a short tour around the brewery before what we were all really waiting for – the tasting. 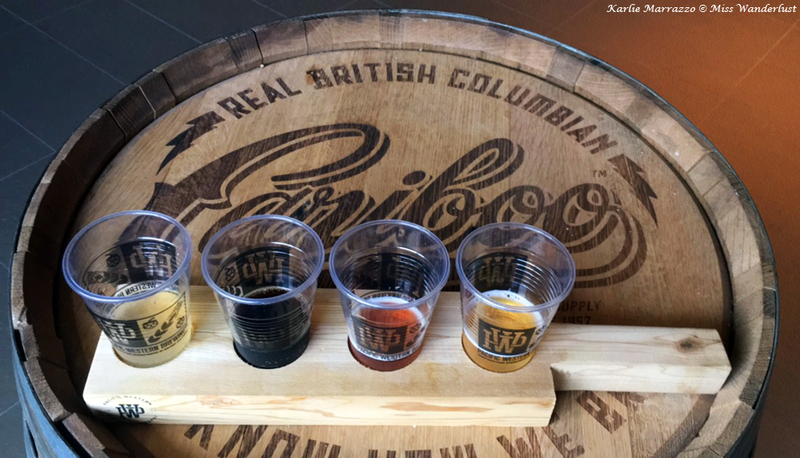 I enjoyed the mild taste of the Blonde and Honey beers, but the real standout for me was the Cariboo Wild Root Beer, home to 5.5% vodka that I could hardly taste at all. Dangerously delicious. 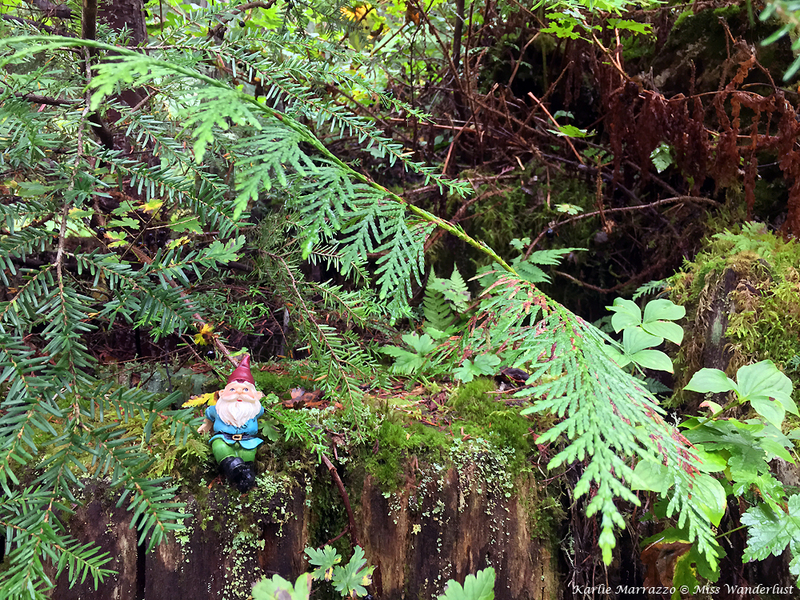 The next morning we all piled into the Pathfinder and drove an hour east to the Ancient Forest/Chun T’oh Whudujut Park and Protected Area, the only inland temperate rainforest in the world! It really was as magical as the name makes it sound. 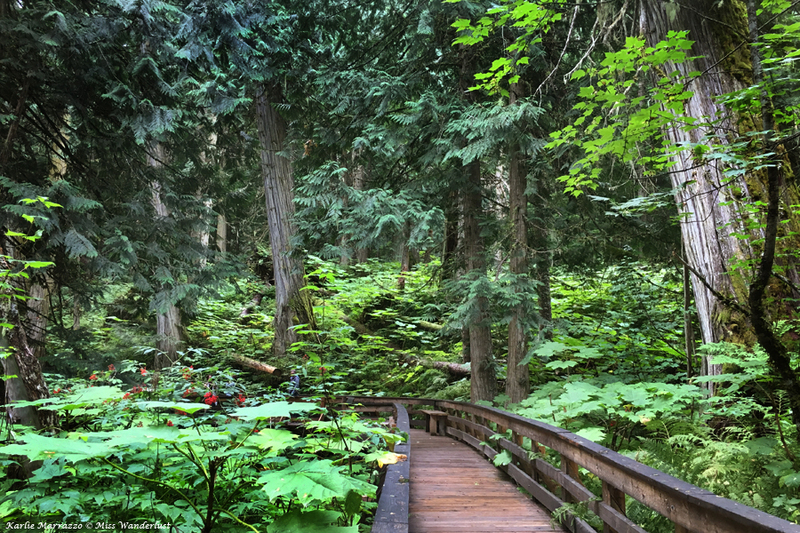 A rainforest in Canada?! The smell of air so fresh, and the sound of nothing but the breeze blowing through the leaves transported me to another time and place. Giant 2000-year-old cedar trees absolutely dwarfed us as we traversed the path through the forest. The Ancient Forest Boardwalk Trail, newly constructed in 2016, makes the forest incredibly accessible and easy to explore. I could’ve spent hours there, pausing to reflect and soak up the pure beauty of nature and the Canadian wilderness. No visit to Prince George would mean anything without a visit to the main man about town, Mr. PG himself. Existing in some form or another since 1960, today’s Mr. PG stands proudly at the junction of Highways 16 and 97, towering 27ft over the cars and trucks passing by. 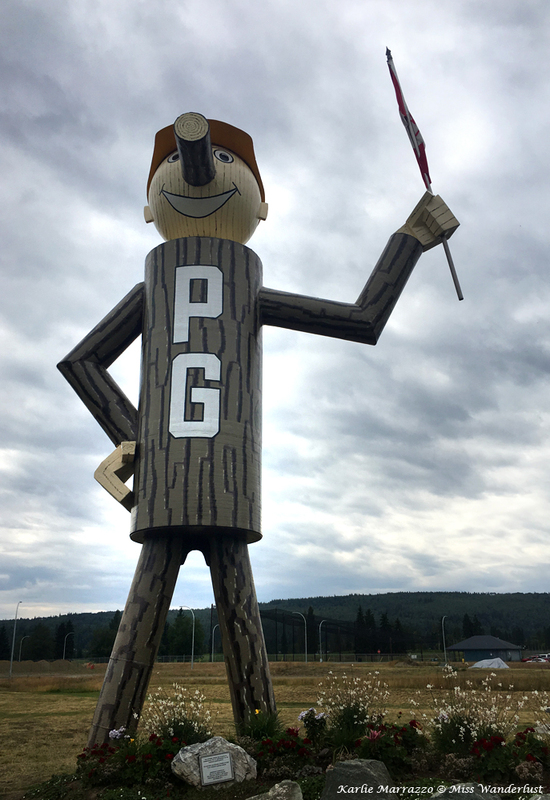 If there’s anything I love even more than mascots, it’s giant roadside attractions, and Mr. PG has got to be the most charming of them all. After an intense selfie session, we got into the truck one last time and headed back to the airport for our return flight to Edmonton. 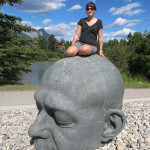 Thank you to Central Mountain Air, Tourism Prince George and my fellow blogger friends Sandy (The Pretty Secrets), Phil (Baconhound), Diana (204 Park), Kelsy (Twirls and Travels), and Andrea (Adventues in Hankiland) for a fun trip discovering Prince George! Only inland temperate rainforest? Hmmm. I think the Kootenays, and especially Revelstoke, would beg to differ. The ancient forest is unusual but let’s not get carried away here. 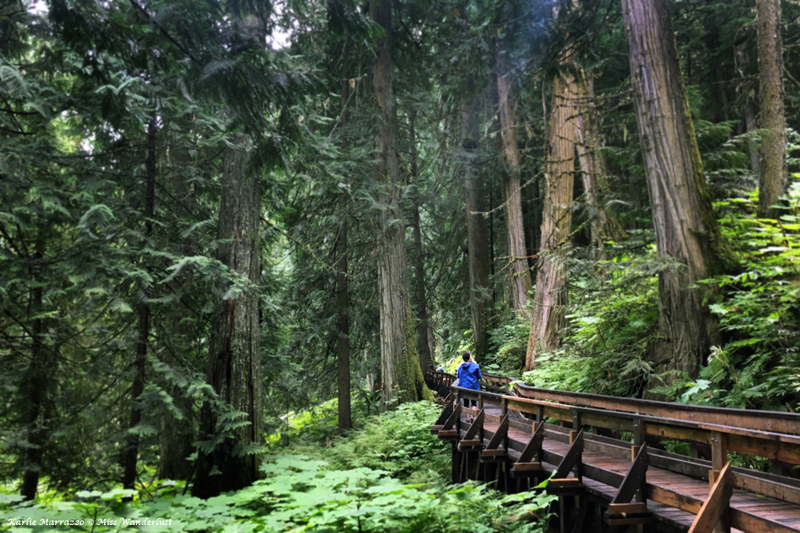 The Ancient Forestis a tiny protected portion of the Interior Cedar Hemlock Zone ( https://www.for.gov.bc.ca/hfd/pubs/docs/bro/bro48.pdf ) which is found in two distinct areas of BC, one near PG and one in the SE of the province. This is not the only rain forest in Canada. 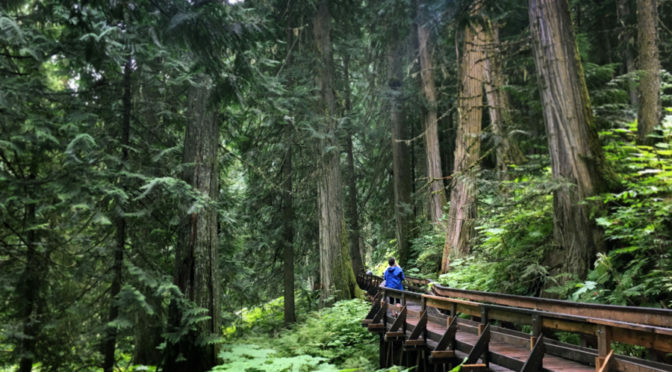 Most of the BC coastline is part or the Coastal Western Hemlock zone which is a classic temperate rain forest. So both Karlie and Paul are partially correct here. Thanks for your comment Amber. I did specify that this was an *inland* rain forest, not that it was the only rain forest in Canada. Wow, it looks like an amazing trip! So nice how the mascots welcomed you at the airport. Reading this makes me want to go to Canada so badly! Never been but would love to Alberta and smaller towns such as Prince George! Wow! 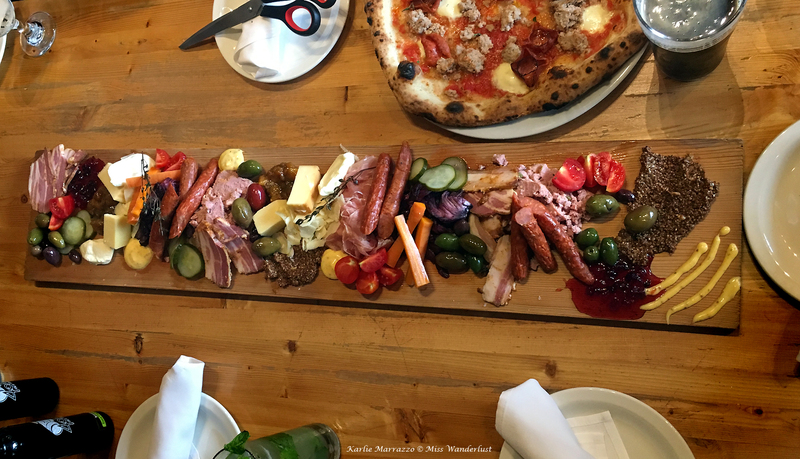 Wineries, breweries, rainforests, and giant charcuterie boards! I need to visit Prince George! Thank you for writing about and sharing such a beautiful destination. I think I need to visit for that charcuterie board alone! Then you mentioned wine too. Sounds like a perfect location for a weekend visit. That charcuterie board truly looks epic ! Prince George sounds like an amazing destination. The right mix between nature and city ! The of the Ancient Forest are beautiful. There’s definitely a lot to see in Prince George. I love the wineries and brewery! And the temperate rainforest looks beautiful. Are there any lakes in the area worth visiting? This looks like such a fun weekend trip! I would especially like to visit that Brewery, the different drinks sound so different and delicious. This place looks awesome, and I’ve never even heard of it down here in Chicago. I wonder how I can get there! And that charcuterie board….OMG. What a really cool trip – I apparently have relatives that live up that way but unfortunately we have never met only corresponded. Think it’s time to take them up on their offer to come and visit them. It looks simply beautifully wild. 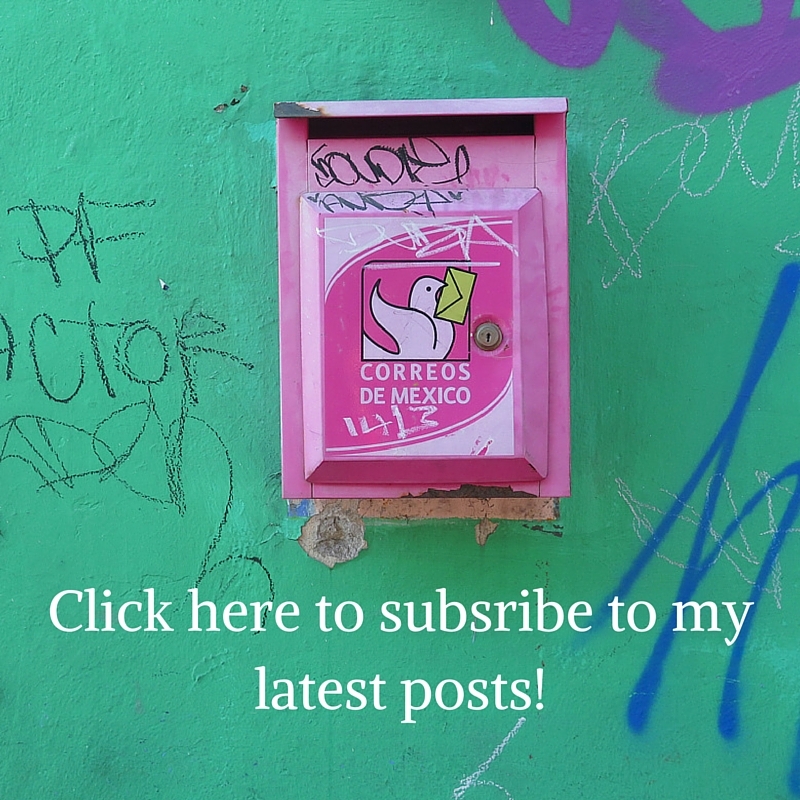 Firstly i love your blog background with the stamps, very cool! Second your pictures were amazing. I would love to get lost in that forest looks like something out of a fairy tale. Thanks for sharing your experience looks like my kind of place. I have never traveled outside Europe but this will change soon, I hope. The trip you wrote about sounds great. After I’d read the article I did a little research about Prince George (I am really interested in new destinations) and added it to my travel list. I like the nature there and the picture of the rainforest you published looks as it is from a storybook.